Sailfishing in the Florida Keys is one of the most unique and exciting Sailfishing experiences in the world! Unlike Sailfishing in other destinations, here in the beautiful Florida Keys, live bait and light tackle spinning reels are used to create the ultimate visual and angling experience! 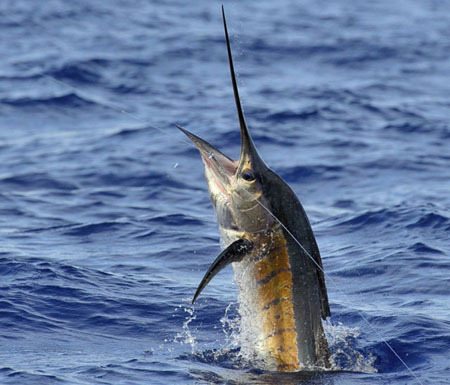 Sailfishing is done primarily in the Winter months however Sailfish can be caught year round. Average Winter days consist of exciting Sailfishing action as well as King Mackerel, Blackfin Tuna, Wahoo, Snapper, Grouper, and Cobia catches.